lets go, get it over and done with, please. Source, bring us all back to Light! Not source exactly, but if you want to absorb the geometric language of the Sun , sit with plants in the light and commune with them. I think there is still some work left. Inside and outside. Can you guys feel and see how bright and spacious the sky and the air is becoming? Yes, actually. Over the past year or so I've noticed a gradual change. It seems more... vivid, I guess. The energy today is insane. I can feel it ringing through my head. Hope it's not a false pretense lol. YES !!! VICTORY OF THE LIGHT !!! Is there geo-engineering in your reality!? Oh yeah!! I'm getting excited! Let's keep the positive vibes going.meditation and positive thoughts helps the light forces to continue to mow down the dark forces like frieght train😁👍.peace and love to all of you!! Has the Yaldabouth been removed? My body feels all floaty recently. I have noticed since a few years ago around 2014-2015 that my body feels literally lighter, even though I have weighed 160 lbs for over ten years lol. Makes sense in an energetic/frequency kind of way. The higher your frequency the less energy it takes due to less resistance in general. And I have been releasing a lot of pent up emotions, and so have others around me as of late. All part of the process. Whew, I need a nap lol. Peace be with you. Yes it has. Victory is ours. hallelujah. However remember. Now we have work to do. Yes, Yalda has been 100% removed; VOTL!!! Yes, Yalda has been 100% removed!! Untwine : Does yaldabaoth interfere directly with the surface population ? Is my estimation that no yalda has not been removed yet. Wouldwe not noticed a change in oeoples behaviour if auch influence was gone? "dumbing down" [all] the people..? Also the parisites are dissolving fast too. Great time to be alive!! Who says yaldabaoth has been dissolved? Also the parasites of his body are 65% dissolved. See is as simple as that. i do not doubt there r indivuduals out there holding good intel... however this yaldo group/indiv had proven to be anything but authentic in the early stages... time has passed.. n u all may have forgottenn.. buf i am here to remind u.... not everything is as it seems. Looks like progress. Things seem to be getting harder day by day in the current existence here on earth. Looks like progress. But it's gotten worst. False positive. I bet that comment was as effortless as this one. Although u must add the progress of such is as slow as it has been allowed by anyone in the know imho.. The moon has a collective consciousness, it is very fluid. There is more on the inside than on the outside. The inside is more like a fluid mirror. You have to find ways to inject certain ideas into the social dynamic of the collective. The work is slow and tedious because for every comment or idea of a high vibration that is created, there are endless amounts of negative and dysfunctional ideas to bring it down. The root problem is society is divided and controlled by a very organized group. Until society learns to organize itself towards an actual opposition to authority then this process will continue to lag. The majority of the cleaning will be done by the sun and the earth and of course humans first and foremost the change happens inside our perception and the world changes. The pleadeian involvement is within an artificial grid of the earth. The earth grid and it's connection to the Sun collective are the main lines. Any other dimensional grid upon earth can be maintained or even purified by the ones who create them. of course though there are many artificial grids ,from cell towers to draconians, etc. The sun and the earth energy grids are the closest tied to the human perception grid. So what I'm telling you is to work on yourself and your energy with the sun and earth. Let the pleadians take care of their own artificial grid. I don't mean artificial in a negative way. "Lightnings encapsulate the hesitant… movement begins." im quite confident these updates are pivoting on my actions. not only my sensai but gaia is constantly putting out things relevant to what ive been doing just prior. very interesting. In some ways that heading is true.' On all levels' though is a bit extreme. So is ascension. Because we are peeling back layers of the veil so that eventually our ideas of time will be much different. So I'm not sure there will be timelines, but more a personal timeframe built on probabilities and cooperation, and not nearly as linear. Sensai? Do you do some sort of martial arts? I used to practice chinese kenpo, muay thai, western boxing, etc., basically mma. I was okay with firearms but terrible with knife fighting. I stopped because I grew to dislike the kind of people and immaturity of some involved. Self defense should be good and empowering, but I dealt with some of the most insecure people while training. its the term i prefer. many of us here are warriors and if you are as well then im sure you understand. there is no child of god who is not a warrior of god. there is no broadcaster of greater truth who is not a warrior. we are ALL practicing the martial arts if thats the term you prefer. it is the way of the warrior. I can‘t wait for the event to happen. I am feeling something is happening already. Rob Niven, we are all waiting in excited anticipation! People are doing what they can to deprogram themselves from the matrix at the same time. That is why life is becoming difficult for so many. I doubt that folk here are kicking their feet up and watching TV. So Yes we are waiting for the freedom to live and look forward again (ie the event). I'd don't understand this code language, bath this sounds good for me victory of light and LOVE. yah.. we're not supposed to but clearly fleet 1 and now 2 are being activated, so I assume moved into position closer to earth to prepare for operations directly, it's so amazing I can't stand it! We are 1 and it's all going to be clear. per a channel I follow, Beverly nation on utube, a recent video she was channeling (yes I know, always suspect) but she said the pleaidian fleet would be showing themselves in mass soon to everyone on earth so that nobody could deny their existence and it would show the world how they've been lied to and controlled for 1000s of years by the dark ones. Nobody does, and the fact the starseeds here continue to bluff they are more in the know than others, the illusion continues. 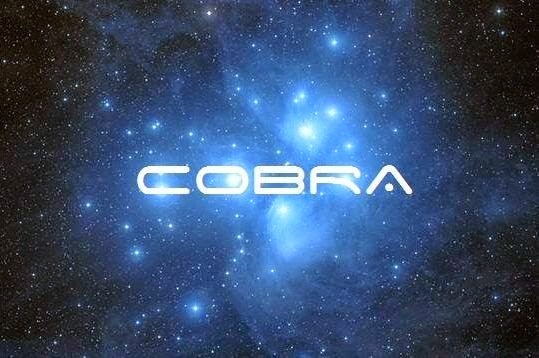 Thank you COBRA for your Insights they have been very helpful on the WAY to and through this point. Lets all remember not to try to figure out what cobra is saying, this is meant to be secret. Agreed. I'm going to try to stop trying to understand. O pulsar do meu Divino Ser - Centelha Divina - esta mais perceptível. És neste ritmo harmônico que envolvo toda emanação de vida em Shan na pura energia do amor incondicional da FONTE CRIATIVA EU SOU. 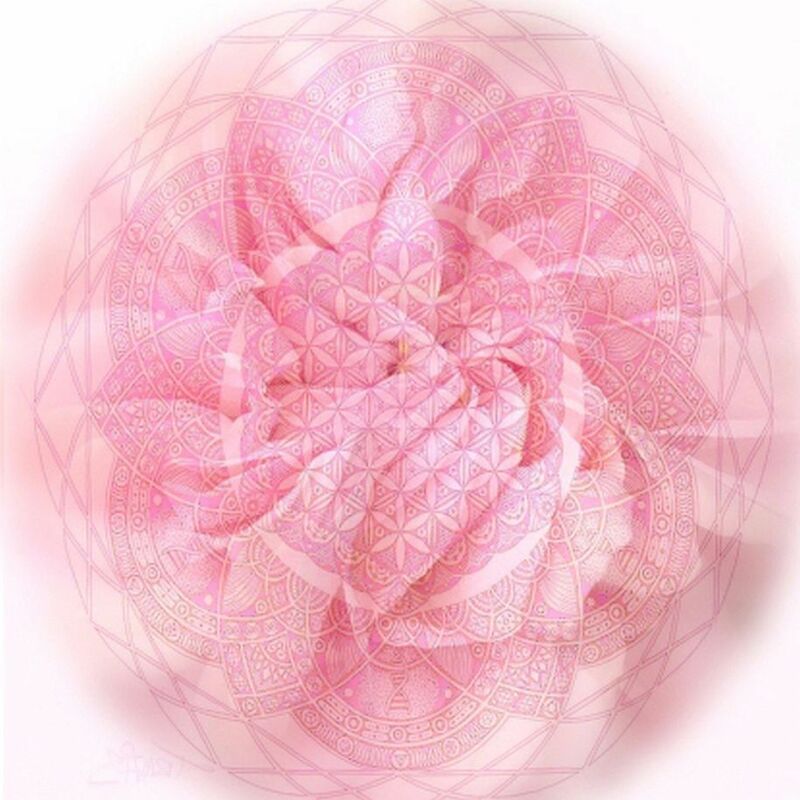 'The pulsar of my Divine Being - Divine Spark - is most noticeable. You are in this harmonious rhythm that I surround every emanation of life in Shan in the pure energy of the unconditional love of the CREATIVE SOURCE I AM. I have been suprised yesterday, to see on Gaia, the relesead of a new episode of the serie "Disclosure" with David Wilcock. Even if it's not "Cosmic Disclosure", some of you may be interested. We are in the final phrase. Victory of the light. @bb sent a reminder on the peace/full moon meditation for today. Here is the link to the full playlist for other languages. So ready to sign the Galactic Codex, tears fill my eyes like the stars in the universe...our suffering is almost at in end...here's to new beginnings....love you all. I have read "The Crystal Stairs" three times now. It clearly states that the GOAL of this time period is OUR ascension. The plan is to have three phases. In phase one, the prepared lightworkers will be 'lifted' and will ascend in their bodies (no death). They will receive healing and training. They will be offered a choice to either come back to GAIA as an ascended master and 'get LOTS of attention' or to return to the realm that they came from. 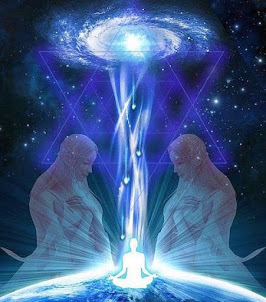 In phase 2, the remaining lightworkers who were inspired from the returning ascended masters will wake up and do the internal work so that they too can be 'lifted'. In the final phase, all the humans who are not light workers will have a chance to be prepared and 'lifted'. Those who are not fully prepared in phase three, will be taken aboard 3D physical ships to live on another 3D world until they are in fact ready for ascension. If some of the humans/lightworkers chose none of these options, they will in fact die on Earth and they will be taken to their spirit guides and will be given the standard options to live another life on another planet. 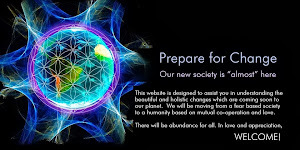 GAIA will become inhabitable for 3D beings and the life after the ascension will be completely 5D inhabited by only ascended beings. Cobra referenced this in a previous posting. Pretty cool plan. The book also states that in the hours before the event, people will begin to feel lighter and lighter and will know something is happening. The best thing for those wishing to be lifted is to meditate, merge with their light body and when it happens, let any fear dissipate and have the faith to walk into the light. Apparently a light tunnel will appear at the time of the lifting. It reminds me of the transporter beams from Star Trek. So, if you are chosen in the first wave, I hope you do walk into the light tunnel without fear and come back as ascended masters to wake up the rest of the world. Imagine if we had 2000 Christ like ascended masters performing 'miracles' every day. There are roughly 200 countries, so that is 10 per country. What would people think? What if they were given directions in order to ascend too? What an amazing time to be in. I like to think of life AFTER the event because it is my way of telling the Universe 'this is what I want'. I also think of life after the Event. 1. Saint Germain, Jesus, those are beings that ascended before the Event happened, thus you dont need to participate if you dont feel in any of those 3 waves, cause its proven that you can ascend before Event. 2. Cobra spoke that some of RM members ascended using very strict protocols already. 3. 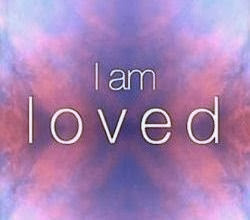 Most, like not everyone here are some incarnated being from higher realms, starseeds etc. and we are artifical handicapped here thus the road we need to go back is diffrent, in some sense easier, we do not learn, we remember. Only those of pure Gaia soul will have harder, we already ascended many times ago we only remember it now. 4. Childrens, and the newborns, even if there were years between those waves will be excluded since it should end (window of opportunity) in 2025. 7 years old ascending? 5. Also dead is fictional, Cobra spoke about that already, Body transfer center, clonning facility, what about that you die at 80 when you just clone another body for yourself, we change body into just clothing accesory. If you got killed you just transfered to RM center and have new body. thats all. I do not write this to discourage anyone, this is plan for general population, but some of us like me can feel a bit of pressure to ascend in 10 years, yet they want to live a bit longer and then ascend after those phases. After ascension codes are unlocked by LF to genreal population then you can ascend anytime you want, its not like you have only 3 chances. helpful to be reminded of this...even though, it seems 'so far away.' ... I have been reading some St. Germain tales... as told by Godfrey Ray King and they are truly inspiring. What if some parts of the plan have changed because of extreme circumstances and delays? I have to wonder if these two messages are related? Thank you very much, Mr. COBRA. The connection last night was very successful. It is completely possible to take the next step. But first say something that is not too warm: 1. If you say this action or 504 fails, I can only regret that there is a very high level of spies in our troops. 2. From the current situation, it is impossible for us to reproduce the jokes of 2012. 3, the patience of the elite light warrior on the ground; perseverance and life time have been consumed, can not play with you. 3, there are some bosses who don't pay enough, they are more like honors. Let me remind you first: Can your current contribution offset the mistakes you made in the past? If you protect your own perfection and want to transfer your mistakes to humans on earth, then you have committed a deadly karma; that is, you trampled on our soul contract, and the interstellar heroes on earth are abandoned. It is. These words are very unbeautiful, because I am telling you a question that you are avoiding. I just put it in front of everyone. Please don't forget that there are no regulations in our soul contract that delay the liberation time or stop the Earth or Star Warrior for various reasons. Please ask all the friends who saw my message to ask your heart. Are you going to release a new situation update? Or it doesnt even matter now since we so close to The Event?! We can feel in ourself that liberation of earth almost finished. Of fleets are being activated that means they going to move closer. Per Beverly nation a mass pleaidian revealing is coming to once and for all show all doubters we are not alone, never have been, the controllers tried to isolate the prisoners but that wasnt possible. She said this will be epic and nobody after this will be able to deny their existence. Victory of the Light! Will we get to meet them, face to face? I sure as hell need a direct contact. “Processionals carry the joy of New Paradigm followers. Waiting from a status update very soon, please LF, please brother Cobra. Great!!! Thank you Cobra, LF, RM. "Processionals carry the joy of New Paradigm followers. 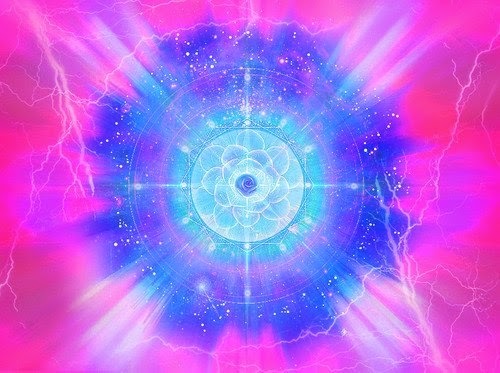 Gaia Portal... brought 2 messages in a row... things are accelerating. Hoping for good news here soon. "Entrances are made by those on The Path." im in tears. thats two in a row that appear to be directly related to my path. wow...victory to the light is near. Any actual photos of the fleet? if things are getting more difficult for you in your life, you're doing something wrong with your life. change your life. the light forces aren't going to be able to change it for you ubless you meet them halfway. I confirm, The Sun in the year 2018 is extremaly bright but one year ago I observed The Sun only by my fotochromatic glasses it was no problem!!! La energética de partículas en todos los niveles se fusiona con la línea de tiempo de Ascensión. Los casquillos de la abundancia se siembran. Los relámpagos encapsulan al vacilante ... comienza el movimiento. Los destellos de brillo interior son recibidos y aplaudidos. Las procesiones llevan la alegría de los seguidores del Nuevo Paradigma. Las entradas están hechas por aquellos en The Path. La Luz ha tenido éxito. Kauilapele has a fascinating article out. I always figured the alt-right was being co-opted by the jesuits and black nobility. I even had this idea pop up in my head that 'pepe the frog' sharing the name pepe with pepe orsini was not a coincidence. Maybe there is good behind it though. I feel so much lighter since the equinox began! Things are already happenning and i really believe the protocols to deal with the surface population are running out! I miss an update but it is pretty clear to me how busy he is FREEING OUR PLANET! The time is here! We are here. Welcome lovely ones! It has started. I understand. Cobra is waiting for the right time. 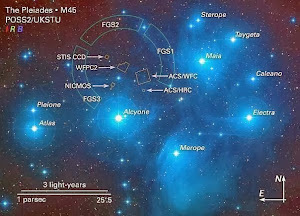 With Pleiades 1 messages, this is understandable.(!) Looks like Cobra is the wisest. add me on facebook. yoesh von ra. perhaps we could make one! necesitamos que suceda lo más pronto posible, estamos en desesperación, la gente humilde ya no aguanta más, muchos de nosotros ya estamos sin fuerzas y la depresión nos abraza cada día más fuerte... pensamientos positivos? ánimo de vivir?... solo deseo y anhelo que el evento ocurra en esta semana... estamos mal, me siento mal, no tengo ganas de despertar o levantarme y cada día es peor... ayuda seres de luz! I understand. Cobra is waiting for the right time. With Pleiades 1 messages, this is understandable.(!) Looks like Cobra is the wisest. (Adamantines, Zero i(01) and IUD-IL come from Andromeda Galaxis? And 15-17 dimensional beings? I *have* heard Jerusalem Bells a-ringing in person 9 years ago. It all feels great, systems reboot complete. I've seen a ship fly very close to my house with checkerboard lighting pattern, flying very low for a commercial airliner, over the buildings, commercial airliners do not fly that low. But you never know for sure until some things start to happen. and kudos for Omega keyword, I was obsessed with this "omega" thing for some time. Sounds like something is happening - really this time. I understand. Cobra is waiting for the right time. With Pleiades 1 messages, this is understandable.(!) Looks like Cobra is the wisest. (Adamantines, Zero i(0i) and IUD-IL come from Andromeda Galaxis? And 15-17 dimensional beings? Andromeda or an unknown non-spiral galaxy? I am available for VRX distribution and VTX setup on the ground if you need me. there will be no situation update until surface operations have been completed. COBRA told us this a few months months ago. patiece is a virtue my friend. 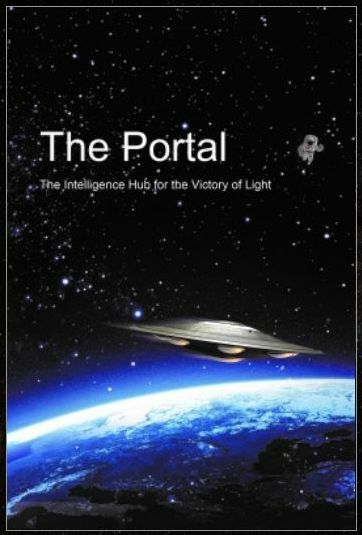 "there is a fleet of motherships of the Galactic Confederation positioned just outside of our solar system and this fleet presents a barrier through which no space vehicle of the Chimera group can escape. The unholy four were secretly hoping that Chimera would provide them with the escape route beyond this solar system towards Barnard's Star just before the mass arrests, as this was the promise the Chimera gave to those top cabalists" posted in 2015. hope this means the unholy four are gone and there is no need to protect this area- I can't wait to see all those ships up in our skies! What a joke. You aren't doing anything but leading people away from the truth. Do tell what is the truth... i have a truth of me own.. i reckon u diverting from it as we speak. Amazing me thinks how much truth we presume to hold and yet still not farther than our other dear truth holders. See i think. If i really had a grasp of the absolute truth probably i would not be sharing it in this remedial way. But i have a truth.. i claim again..
Would you please enlighten us with your truth? This is no New Age lullaby. 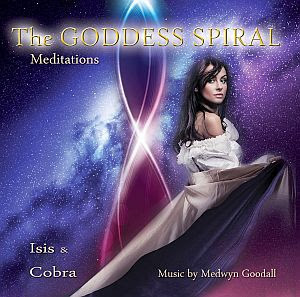 Cobra team is always encouraging us to raise our frequency and to join the mass meditations. God is my truth. And his son is part of the compression breakthrough. The computers tell me I have ovarian cancer. Should I listen to them? Can I trust them? No. Do not believe them. Look up Vitamin B17. Apricot seeds are the best source apparently. I understand your fear. As a cancer patient myself, disbelief is part of the process and journey. Ovarian cancer is not something to take lightly. I would encourage you to get another opinion and confirm the diagnosis. There are natural options that do not require intervention from the medical system in the US. I have tried many if not all of them. Currently, I am using the Hoxsey clinic tonic and it is working perfectly. I am dealing with a rare form of Sarcoma (a bone cancer) and have been doing so for the last 5 years. Over the course of my journey with cancer, I have gone through the medical system treatments that were available for this disease. Primarily surgery and radiation. It wasn’t until I was diagnosed terminal (the first time) in May of 2016, did I find myself pushed out of this “modern medical system”. Basically, they told me to go home and life what life I had left. It was at this point the real journey began. I have since used, diet, supplements, GcMAF, Hyperbarics, B17 injections, IV. Vitamin C as well as other solutions outlined in the truth about cancer. In August of this year, I went to the Hoxsey clinic in Mexico and this is the most effective and least expensive solution. They have an 80% cure rate. Not treatment rate, cure rate. If you are interested look them up at Hoxseybiomedical.com. The entire trip and six month treatment cost was just over $4K and it is effective on every type of cancer. The key that I have learned about this journey is that the cure is you. Cobra or Rajah or Lighthouse South, is there anything we can do to stop this. Meditating, taking additives please? We’ve now reached a point in the planetary liberation process where it's now getting SAFER for ET Contact of various forms. More on the exciting - how & why - in the news portion of this week’s show. So stay tuned for the next 144k Mass Meditation notification -towards the end of Oct mostly likely - barring any major geopolitical events. Kosta and "ET Let's Talk" have been establishing regular contact for years now...learn how you can get involved and establish contact on your own. I'll be having a 40min chat with Kosta about some of the amazing experiences people have had while using these protocols... and more about ETLetsTalk and how to sign up. p.s. If you haven't joined the 144,000 Army of Light that's being built ... and you feel the calling or desire, watch the short video below & click to join! Let's take charge & Liberate This Planet! 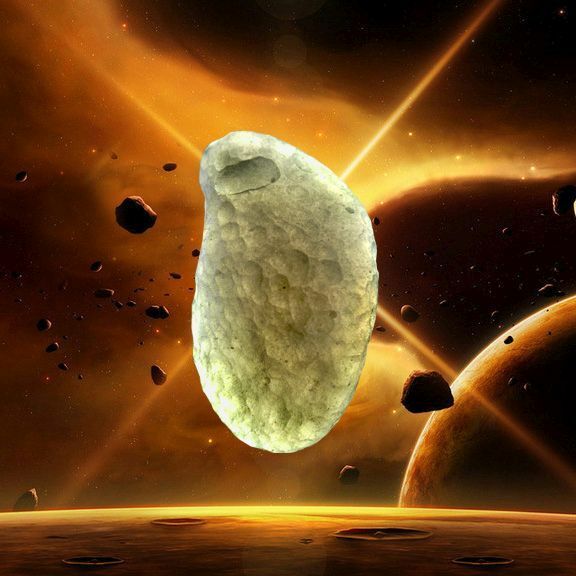 Delegation Of Masterful Extraterrestrials Coming To Earth Via Spaceships, As Divine Emissaries… Humanity Must Spiritually Prepare For This Inevitability!! We’ve now reached a point in the planetary liberation process where it's now getting SAFER for ET Contact of various forms. More on the exciting - how & why - in the news portion of this week’s show.As for the Mass Arrests … It appears the Cabal is pulling every dirty trick in the book, to delay or prevent the confirmation of SCOTUS pick Brett Kavanaugh … which needs to precede the Mass Arrests.It is said that Kavanaugh’s confirmation will trigger the military tribunals.So clearly … the Cabal is simply trying to prevent their arrest by creating a smoke & mirror circus around Kavanagh’s senate hearing. After which, healing work was done on Gaia. 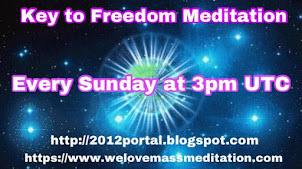 Here’s just one 144k member's feedback from last Saturday’s / Sunday’s 144k Mass Meditation.
" ... I really felt Gaia 'come alive' at that moment when we completed a process. It brought me to tears ..."
I feel now that, the first wave will be sent for training and then they will be back to sort the mess. Something like changing computer programs, improving 4G signals to emit light etc. Then only we will wake up to feel love, peace and joy. After this we will be the second and third waves. This is for those who will release KARMA in October. God has a whistle that only the obedient can hear! Will you come when God calls? Wow. In 6 1/2 years since this blog was opened it never has taken that long for a new planetary situation updates or interview updates. I believe the light forces are getting close for the compression breakthrough and the next fews intel or updates will be one to remember. Cobra said that we will get less updates regarding surface operations. I'm excited for an update! An organic light-emitting transistor (OLET) is a form of transistor that emits light. These transistors have potential for digital displays and on-chip optical interconnects. OLET is a new light-emission concept, providing planar light sources that can be easily integrated in substrates like silicon, glass, and paper using standard microelectronic techniques. OLETs differ from OLEDs in that an active matrix can be made entirely of OLETs, whereas OLEDs must be combined with switching elements such as TFTs. je pense aussi que Cobra n'a pas la permission de nous rendre compte pour l'instant, il se passe sûrement des choses très sérieuses et graves là-haut. Por favor... me leve na primeira onda... eu estou disponível e pronta a qualquer momento. Stay tuned at this momentum: October, November and December can be intense. We are preparing for Light Communities development.